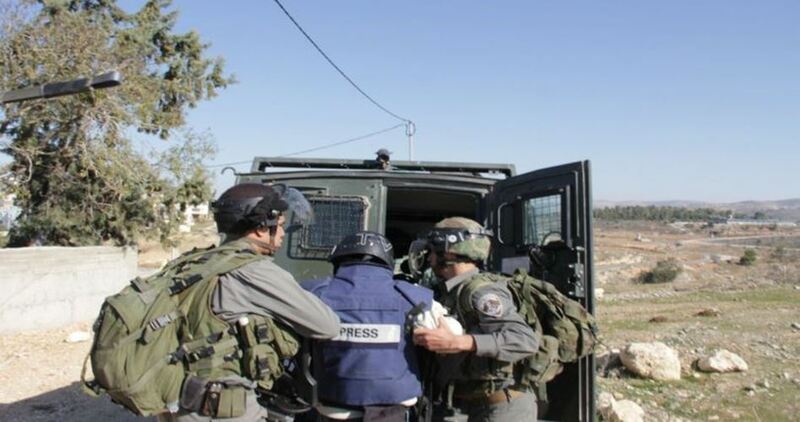 The Palestinian Prisoners’ Society (PPS) has reported that Israeli soldiers have kidnapped overnight and at dawn Thursday, 24 Palestinians, including a journalist and eight family members, and a journalist, in different parts of the occupied West Bank. The PPS said the soldiers searched and ransacked many homes in the Ramallah district, in central West Bank, and kidnapped nine Palestinians, including an entire family from al-Am’ari refugee camp. The kidnapped have been identified as Zohdi Abu Shousha, his wife Jihad, and their sons Mahran, Ehab, Mohammad, Fadi, Baha’ and Thieb, in the al-Am’ari refugee camp. The soldiers also invaded the al-Jalazoun refugee camp, in Ramallah, searched homes and kidnapped Hamed Ahmad Hmeidat, 25. In Hebron, in the southern part of the West Bank, the soldiers also searched homes and kidnapped nine Palestinians, identified as Bashir al-Jebali, Dirar Sultan, Abdullah Tawil, his sons Hazem, Mohammad and Hamza, in addition to Mohammad Shahin, Yousef Nassar and former political prisoner Ahmad Abu Sondos. In Qalqilia, in the northern part of the West Bank, the soldiers kidnapped Mos’ab Ma’zouz Dallal, 27, and his brother Mohannad, 23. In Jerusalem, the soldiers kidnapped three Palestinians, identified as Mohammad and Mojahed Ali ‘Oweisat, and Mohammad Daoud ‘Oweisat, from Sheikh Sa’ad village. 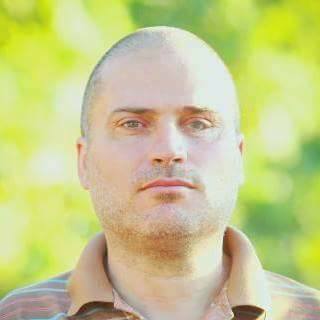 In Salfit, the soldiers kidnapped a journalist, identified as Khaled Ma’ali, while resident Mohammad Ahmad Mahdawi was kidnapped, on Thursday at night, in Tulkarem, in the northern part of the West Bank. On the international day to end impunity for crimes against journalists, the Palestinian Center for Development and Media Freedoms, "MADA" called for the establishment of a moot international tribunal to prosecute and sue journalists’ killers. MADA center will serve to push toward the establishment and success of forming an international moot court to sue journalists’ killers that will shed light on the impunity of perpetrators against journalists from accountability on an international scale, in addition to prosecuting and punishing them; thus will minimize the escalation of violations and crimes against journalists and media freedoms. Moreover, MADA will submit a detailed proposal in this regard: the formation of a mock international tribunal, for the global network for defending and promoting free expression “IFEX”; which MADA is a member at, and to several regional / international parties in order to approve this proposal and start applying it after agreeing on all details related to forming similar courts. Israeli Occupation forces murdered 41 journalists and media workers (in West Bank and Gaza Strip), since the beginning of 2000 including one journalist this year, while total violations recorded this year (monitored by the Palestinian Center for Development and Media Freedoms) in Palestine since the beginning of 2016 till the end of October reached 326 violations (207 committed by Israeli parties, and 119 by Palestinian parties in West Bank and Gaza Strip). MADA center reaffirmed the significant need to hold perpetrators accountable, as impunity encourages perpetrators to commit further crimes. Dozens of Palestinian journalists protested, Saturday morning, outside the Red Cross office in Gaza city against the Israeli continued arrest of the journalist Bassem Sayeh despite his health deterioration. 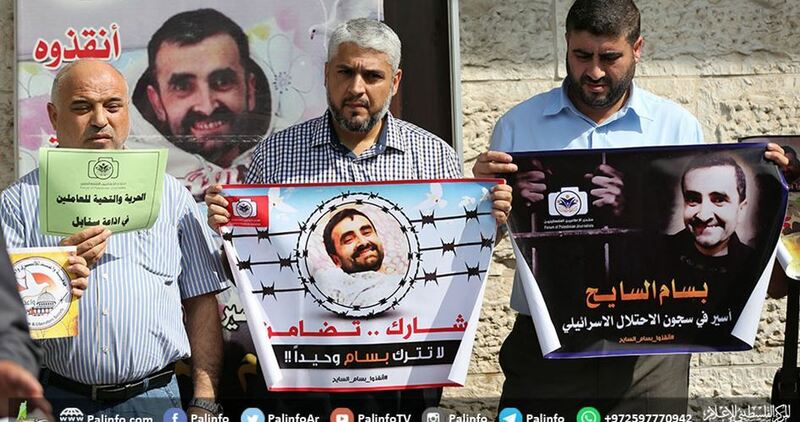 The protesters urged the Palestinian Authority, Reporters without Borders, and the Federation of Arab Journalists to work together for the release of Bassem Sayeh and all the detained journalists in Israeli jails. Meanwhile, a solidarity sit-in was organized in Yatta town south of al-Khalil calling for the release of the sick prisoner Youssef al-Nawaaja from Israeli jails. 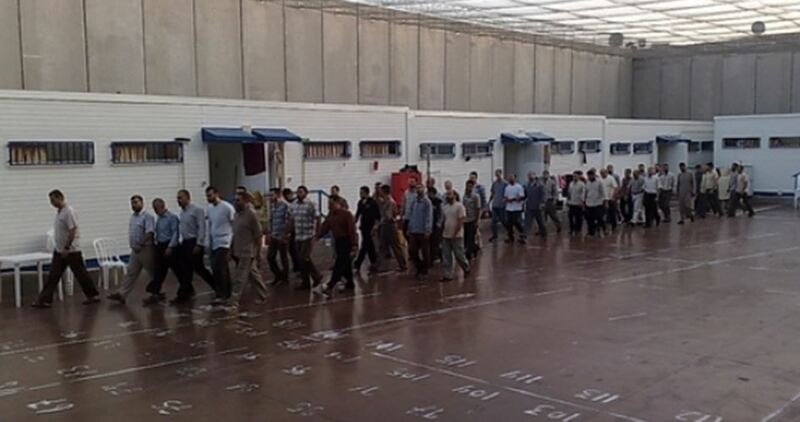 Dozens of prisoners’ families, ex-prisoners, and representatives of the PA Prisoners’ affairs committee and the Palestinian Prisoners Society have participated in the event. The participants held photos of the sick prisoners in Israeli jails, calling for their immediate release. More than 7,000 Palestinians are currently held in Israeli jails including 1,700 sick prisoners, 68 women, 480 children, and more than 20 journalists. The Israeli prison service (IPS) has ceased supplying cancer-stricken Palestinian detainee Bassam al-Sayeh with medicine. Al-Sayeh’s wife, Mona Abu Bakr, also an ex-prisoner, said the Ramla prison clinic administration decided to prevent her jailed husband from treatment under the pretext that al-Sayeh will be undergoing a cardiac surgery. Al-Sayeh was arrested by the Israeli occupation forces during a court hearing held for his wife at the Israeli Salem court on October 8, 2015. He has been diagnosed with cancer and sharp cardiomyopathy, along with critical lung diseases and breathing disorders. 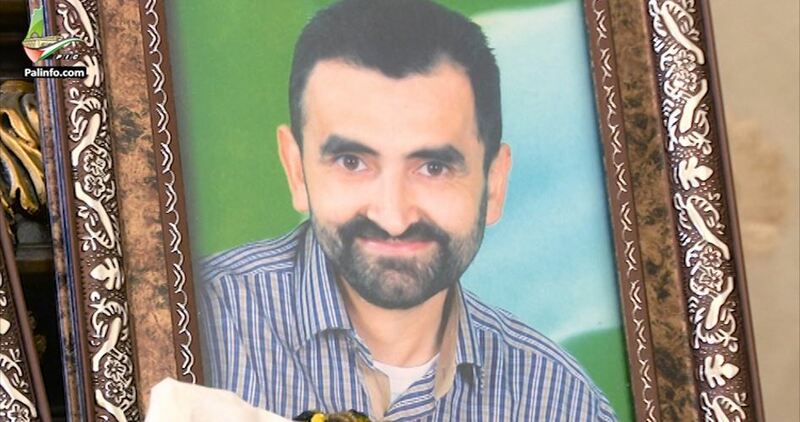 Human rights groups have often sounded the alarm over the preplanned medical neglect perpetrated by the Israeli prison authorities against al-Sayeh, among other Palestinian detainees, behind prison bars. Head of the International Committee for Breaking the Siege on Gaza, Zaher Birawi, affirmed that Israeli authorities released al-Jazeera journalist and camerawoman who were aboard the Zaytouna boat. 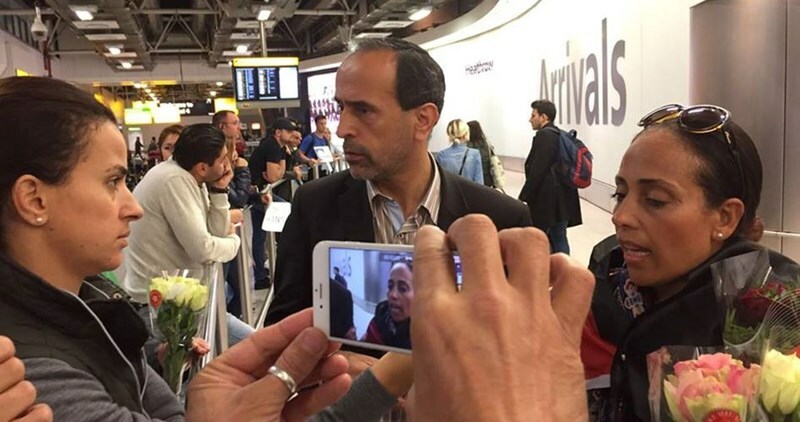 Al-Jazeera journalist and camerawoman were released and received in Heathrow Airport in London after being detained along with 11 other passengers on board the Zaytouna-Oliva by Israeli Naval Forces, Birawi clarified. All the detained activists are in good health condition and enjoy high spirits, al-Jazeera journalist Mina Harbalou said. The boat has been surrounded by the Israeli Navy before being redirected to the Israeli port city of Ashdod, she added. Communication and camera-equipped devices were confiscated during the raid, according to Harbalou. Birawi hailed al-Jazeera’s important role in covering the Women’s Boat to Gaza. Earlier Wednesday, Israeli Naval Forces took over the women’s boat to Gaza while on its way to break the siege on the Gaza Strip. The Women’s Boat to Gaza, an initiative of the International Freedom Flotilla Coalition, which had set out from Barcelona, was scheduled to arrive at the port of Gaza on Wednesday night, according to its website. 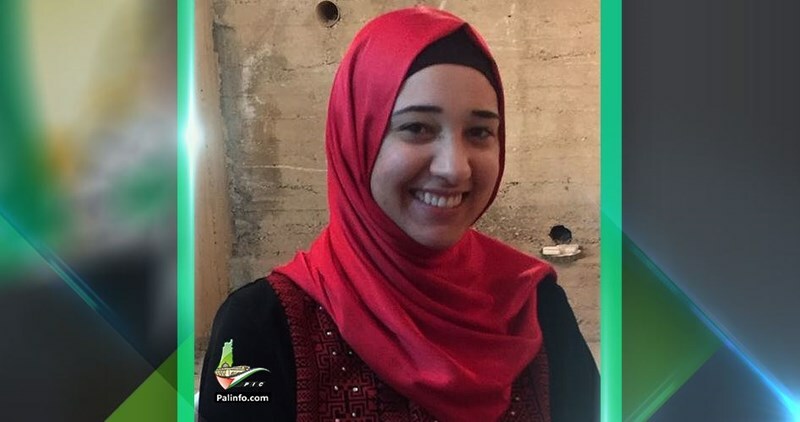 Exclusive testimonies were relayed by the Palestinian Journalist Samah Dweik on what she dubbed “a hell on earth,” in reference to her incarceration in an Israeli occupation jail. “I cannot think of an experience which is more traumatic and more painful than the years I spent in Israeli lock-ups,” said Dweik. Arrested on Sunday April 10, 2016 at 9:30 a.m. from her own family home in Occupied Jerusalem, Dweik was sentenced to six months in jail. She spent 12 days in solitary confinement and was released on September 19, 2016. On her abduction day, Dweik was dragged by the occupation forces to cell N°4 in the Mascoubiya detention center, where she had been subjected to three hearings around the clock on charges of anti-occupation incitement on Facebook. “I found myself trapped in a situation where threats and intimidation overwhelmed me from all corners in an attempt to force confession,” she noted. “Our transfer to prison courts were brutal, to say the least. We had been subjected to all sorts of offenses, spitting, and derision,” she added. “I saw with my own eyes Palestinian children being heavily beaten by the occupation soldiers inside court halls,” Dweik confirmed. “At a certain point, I was left without food and water and found myself obliged to drink from bathwaters,” she revealed. “Deep inside I was very sad because I was torn from my family, home, and friends.” “I was as free as a bird in the sky, covering events emerging in Occupied Jerusalem and al-Aqsa. In the blink of an eye I was thrown in an isolated cell,” she further stated. “Had I not managed to turn such a tragedy to a gift, I would not have perhaps survived. Reading Holy Quran and praying Allah were outlets from which I drew strength at times of loneliness,” added the ex-prisoner. Dweik cited names of Palestinian female detainees who have been subjected to medical neglect in Israeli jails, including Amal Taqatqa, Raghd Shouani, and Lama al-Burki, each of which has lost her ability to stand on her feet on her own. In a shocking testimony, Dweik said the female prisoner Israa Jaabis is almost paralyzed due to the serious burns inflicted on her face, chest, and back. “Israa got her ten fingers cut. She’s just unable to do anything,” said Dweik. “Being in an Israeli jail is like a process of slow death where life is being taken away from every living vein in your heart while your eyes are wide open. Ultimately you reach a state where you don’t, can’t live anymore and wish you were dead,” she bitterly concluded.